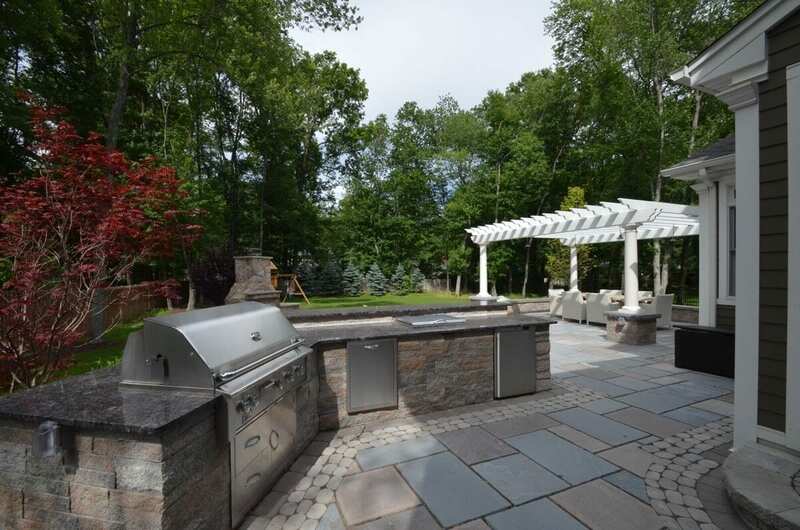 The remodel of this landscape design began with the installation of the large patio area complete with an outdoor kitchen, pergola-covered dining space, and relaxing seating area near a stone veneer covered fireplace. Stainless steel kitchen appliances were utilized in the kitchen area which has plenty of room to cook, serve and use as a bar top. 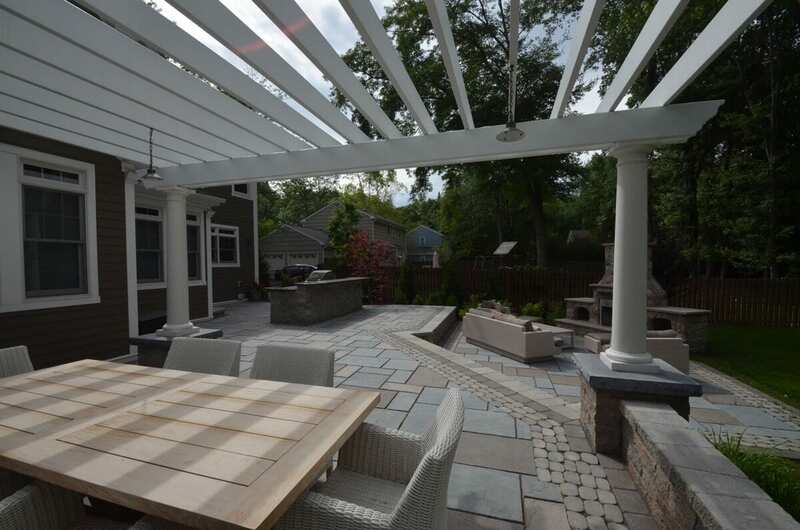 A pergola was added to the dining area’s design to create a space that could be enjoyed out of the hot sun or summer rain. 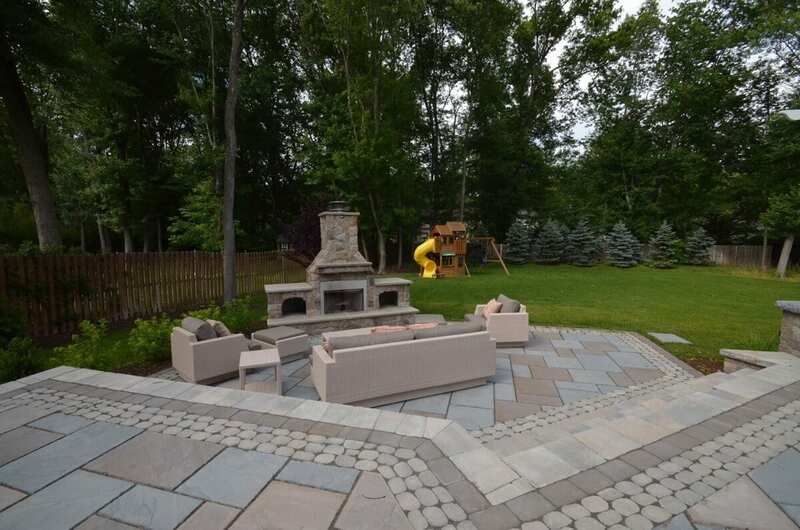 Three custom built steps separate the kitchen and dining area of the patio from the spacious seating near the fireplace. 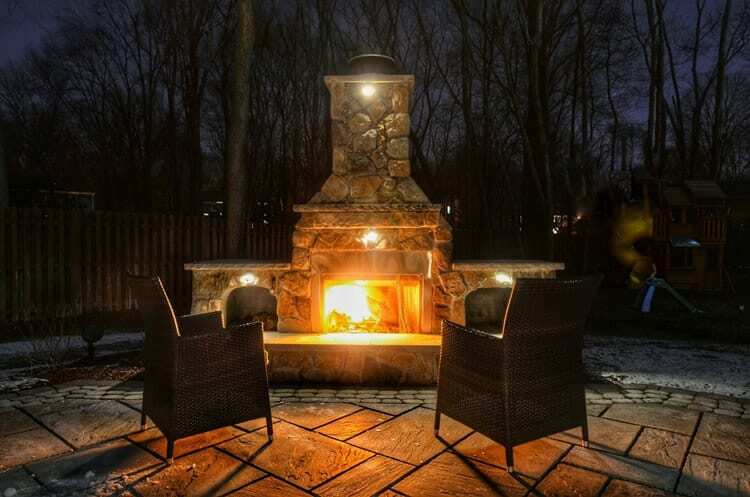 The large fireplace, affixed with a mantel, has plenty of storage for wood and other needed items. 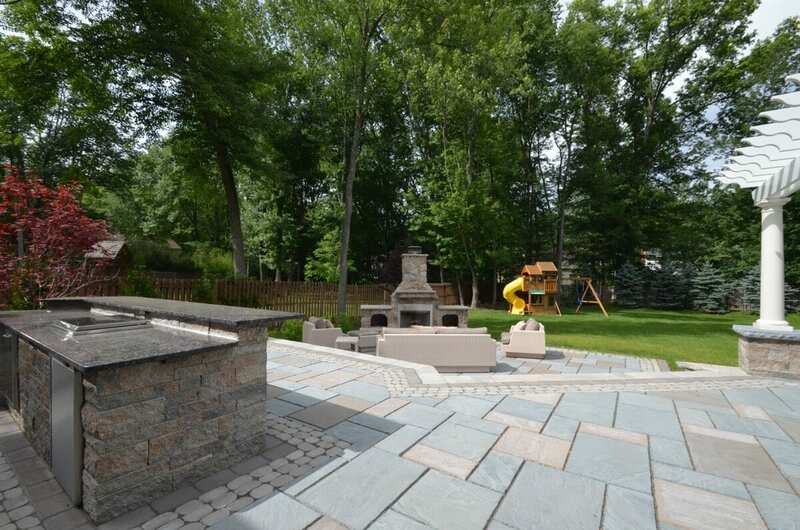 A sprawling green lawn rolls out throughout the rest of the backyard’s landscape with colorful plants and trees that will continue to grow and mature. 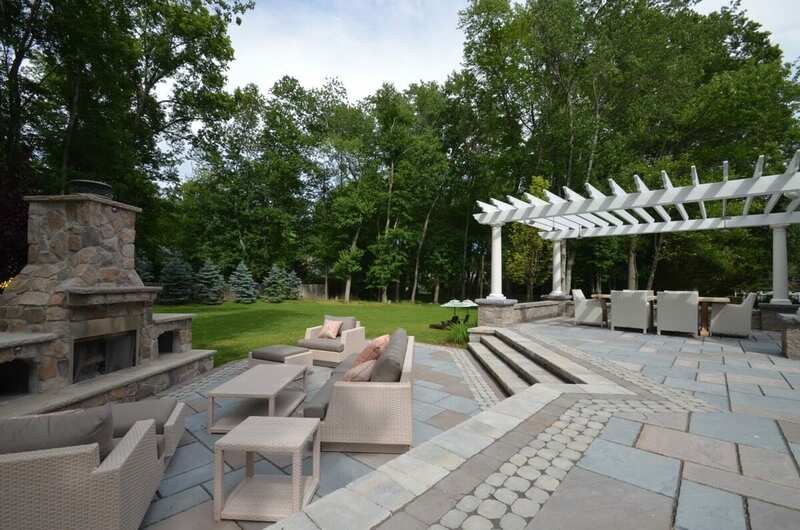 Evergreens were planted in places along the perimeter of the home to create privacy while ornamental varieties of trees were placed closer to the patio area for beauty and shade. 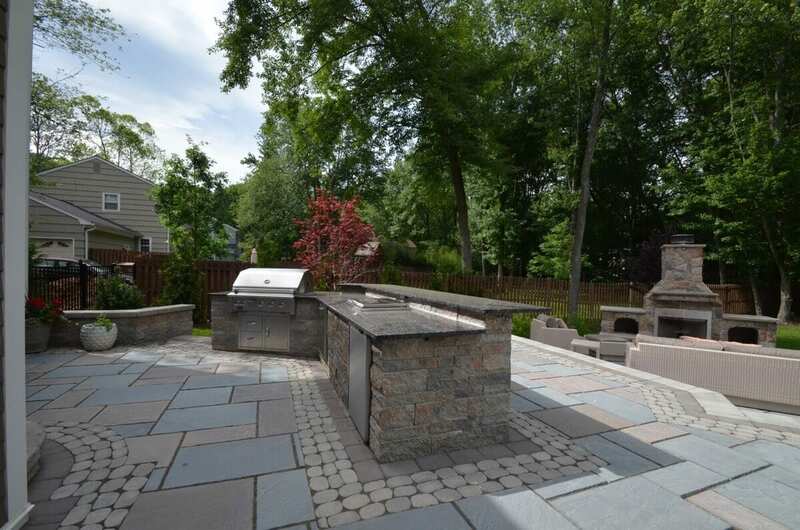 The raised patio and outdoor kitchen were constructed with Techo Bloc materials. 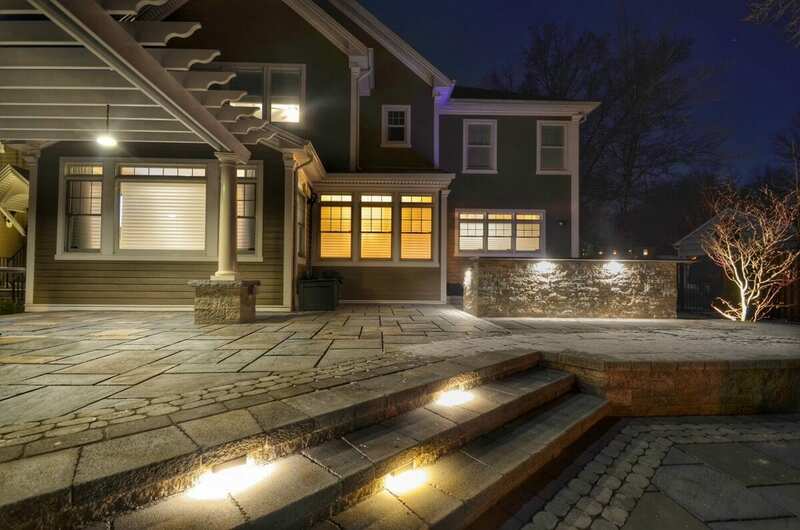 Monticello in Azzuro and Chocolate Brown stone were laid throughout the main patio. 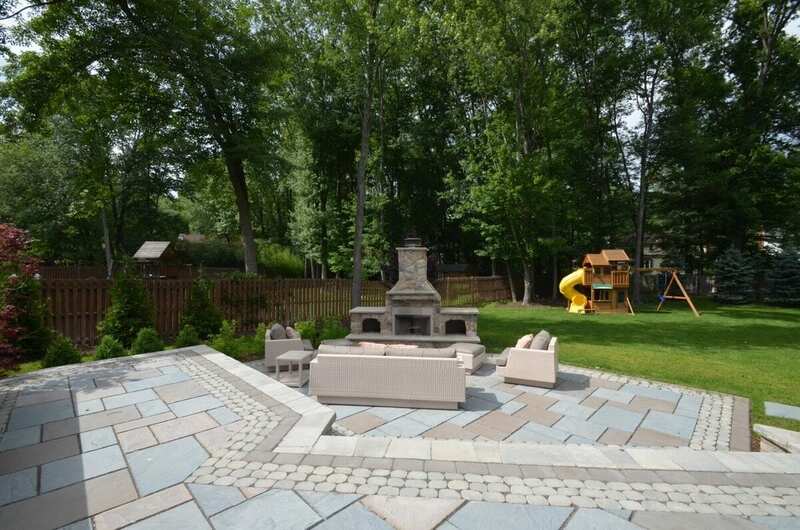 Antika in Shale Gray and Parisien Chocolate Brown were created into a pattern design along the borders of the patio. 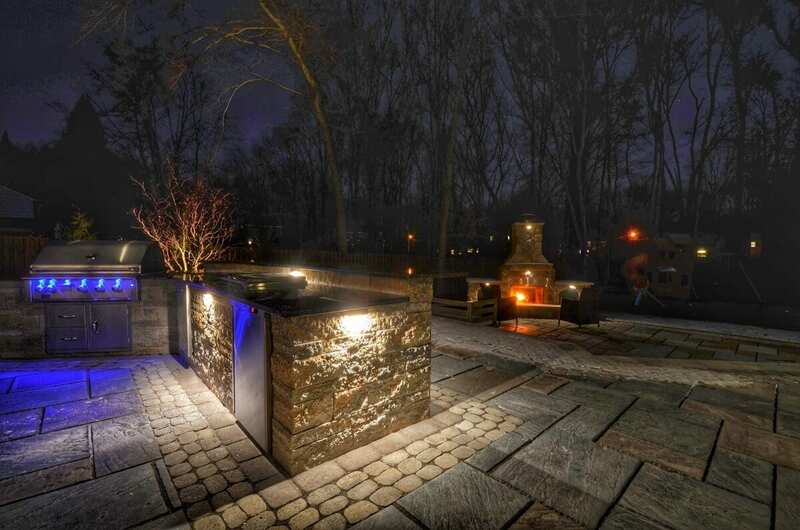 Mini Creta wall block was utilized to construct walls around portions of the patio area. 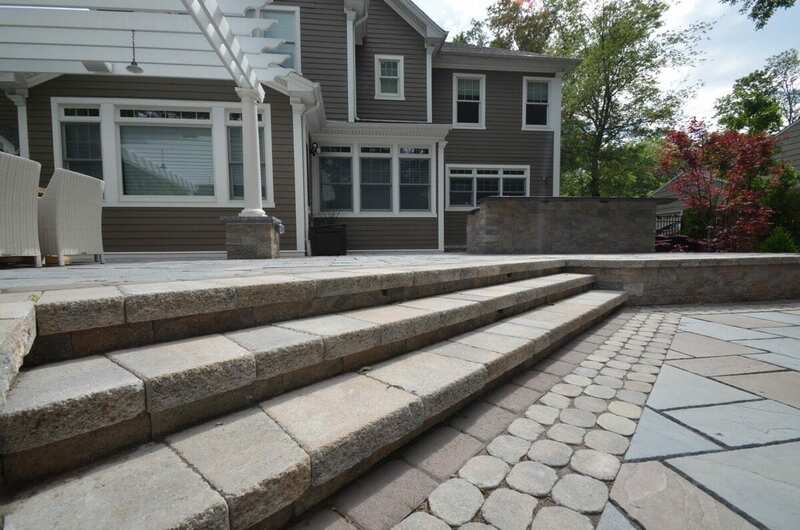 York Pillar Cap in Black Onyx for was placed on pier caps to tie the stone colors together for a cohesive look. 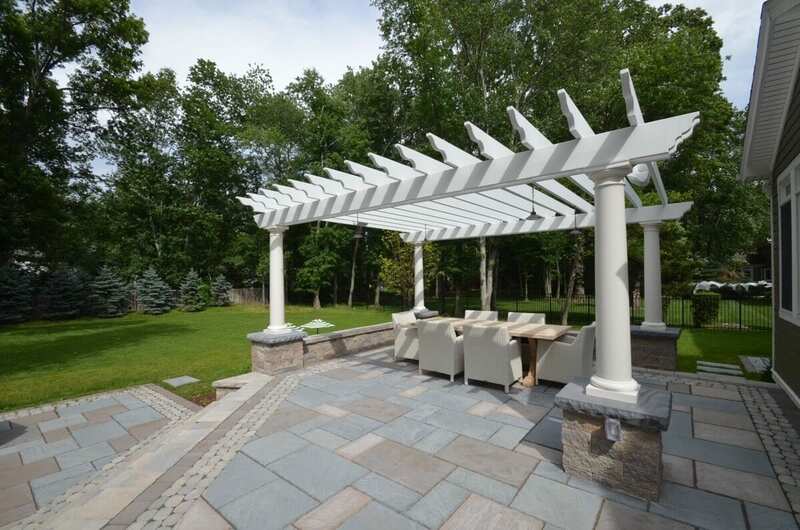 The pergola is made of fiberglass. 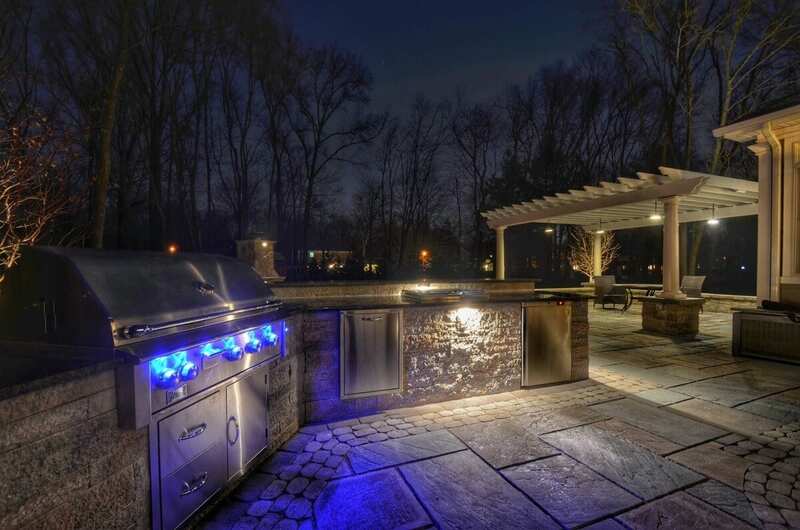 The custom-built outdoor kitchen area is complete with a barbeque, refrigerator, and storage area.